Located in the traditional playground of the rich and famous, The Plaza Resort & Spa offers condominium style, self catering accommodations. 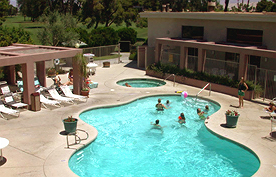 An RCI Silver Crown vacation ownership resort, The Plaza Resort & Spa is situated adjacent to Arnold Palmer’s Tahquitz Creek Golf Resort. 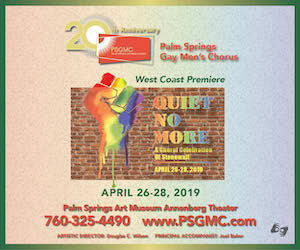 We are minutes from the village of Palm Springs and Palm Springs International Airport. Let our experienced and friendly staff, many of whom have been with us for over 10 years, make your stay comfortable and relaxing as you enjoy the scenery and sunshine of Palm Springs. The resort is pet friendly and we encourage you to bring your 4 legged family members. We are popular with families enjoying a reunion, but whether you are traveling with extended family or a smaller party, you will appreciate the privacy of separate bedrooms and the economy of a fully equipped private kitchen. We are constantly upgrading the resort to make your stay more enjoyable. Recent upgrades include exterior painting, new sofa beds, and the regular upgrade of televisions. Join our Saturday morning coffee & donut social and learn about things to do and places to see.